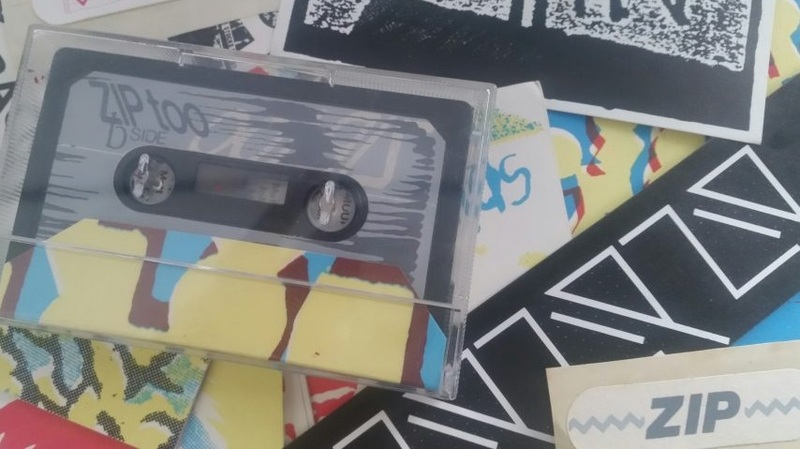 ARI Remix: Living Archives, Artist-Runs 1980 to NOW | GET ARCHIVED! Are you included in the Queensland Art Gallery|Gallery of Modern Art (QAGOMA) Research Library artist files? You may already be aware that the QAGOMA Research Library has been collecting material on artists, galleries and other arts organisations for over four decades. It holds thousands of files on artists, both emerging and established, from Queensland, Australia and overseas, including from Asia and Pacific. 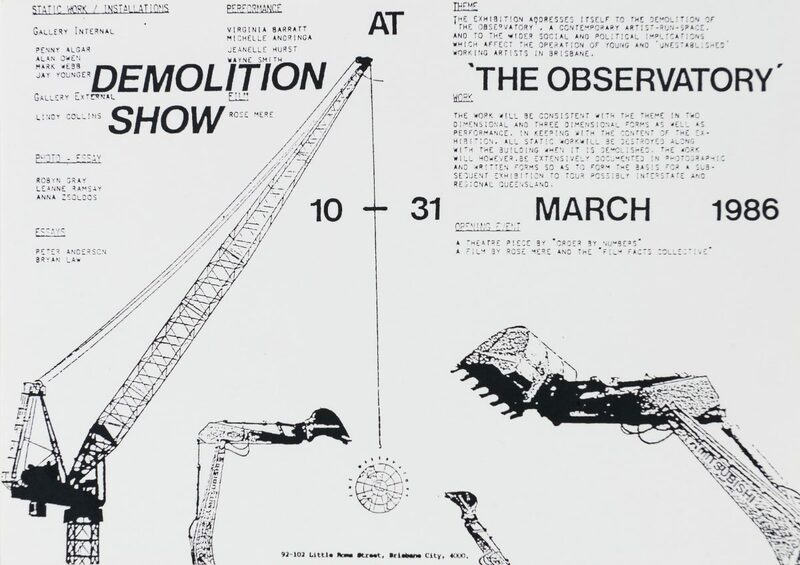 These files are a treasure trove of invitations to exhibitions and events, small exhibition catalogues, zines, postcards, photographs, CVs, ephemera and press clippings. These files, along with other special collections held in the Library such as the Peter Tyndall and Robert MacPherson Correspondence Archive, are important research resources which help inform our understanding of places, people, the past and artists’ creative processes. 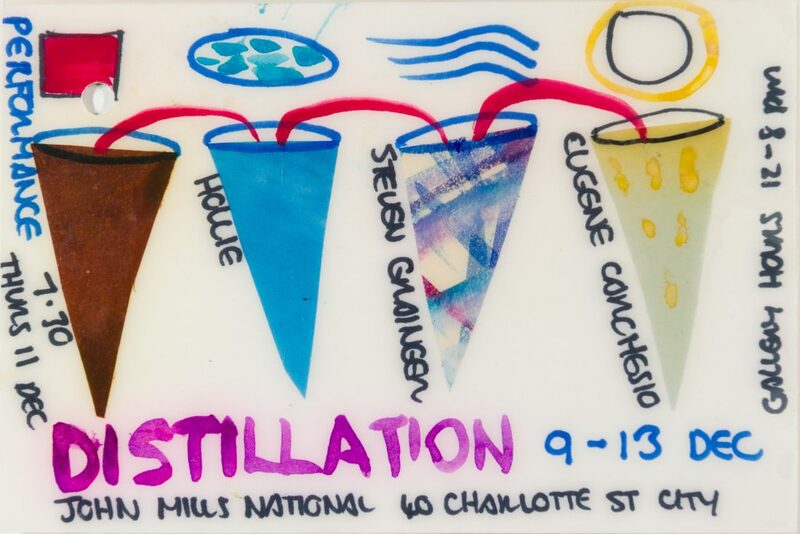 When Paul began his search to uncover the living archives for his ARI Remix Project, we scoured the files finding handmade invitations for exhibitions that included ‘Distillation’ 1980 at John Mills National designed by Hollie; ZIP at One Flat 1983 (cassettes and packages of zines, postcards, invitations, videos and ephemera); ‘A Room’ poster for a group show by Barbara Campbell, Ted Riggs and Brian Doherty in 1984; postcards from the 1986 Observatory ‘Demolition’ exhibition; ephemera from the Bureau; and much, much more. 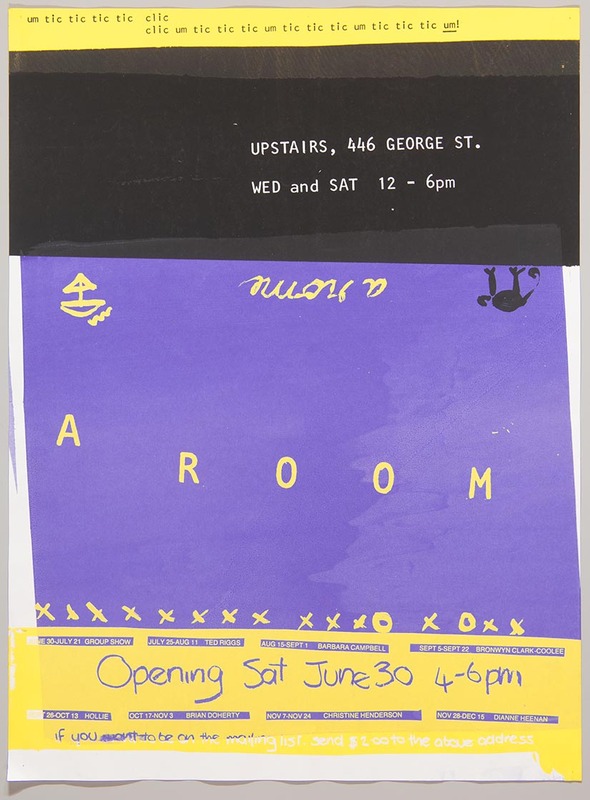 These items document the vibrant art scene that existed in Brisbane and Queensland in the 1980s and 90s and, since much of this material came to the Gallery through the post, it forms a great repository of ‘mail art’. 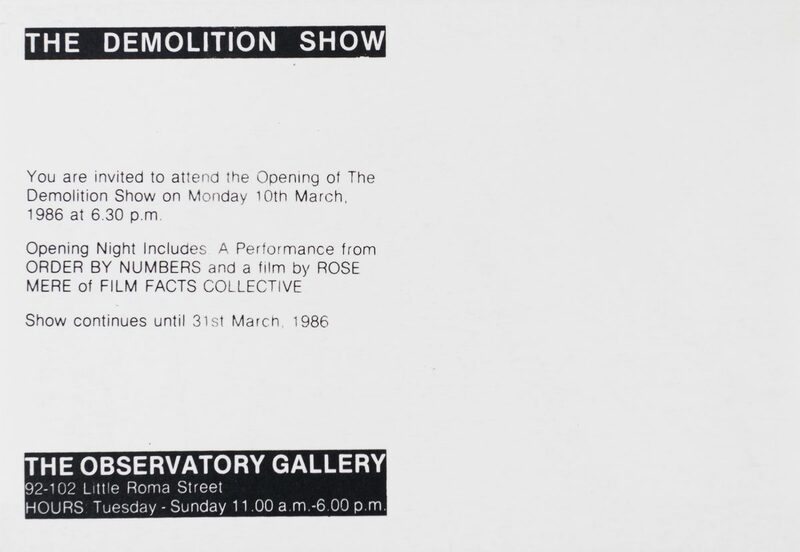 Artists have always been archivists documenting their own art practice by collecting exhibition invitations, catalogues, posters, photography, audiovisual recordings, diaries, sketchbooks and correspondence and referring to this material when teasing out ideas for their art practice and to recall processes and collaborations. In depositing archival material with a public institution such as the QAGOMA Research Library, you help to preserve this often elusive material, stimulate interest and create an invaluable resource accessible to other artists, researchers, students and the interested public. Archival collections about artists help to form a more rounded picture of individual artists and their practice for curators and scholars, with selections of this material appearing in exhibitions and publications. 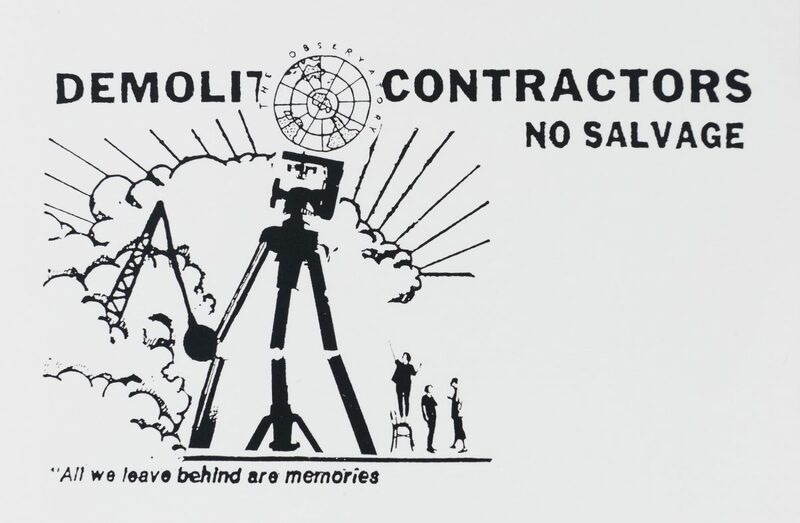 The depth of our archival and ephemeral collections is reliant on the continued generosity of artists and interested individuals continuing to deposit material for posterity. It is housed in the QAGOMA Research Library and arranged by the Library staff with the assistance of a dedicated group of volunteers. The material is available onsite to everyone — artists, researchers and the public. 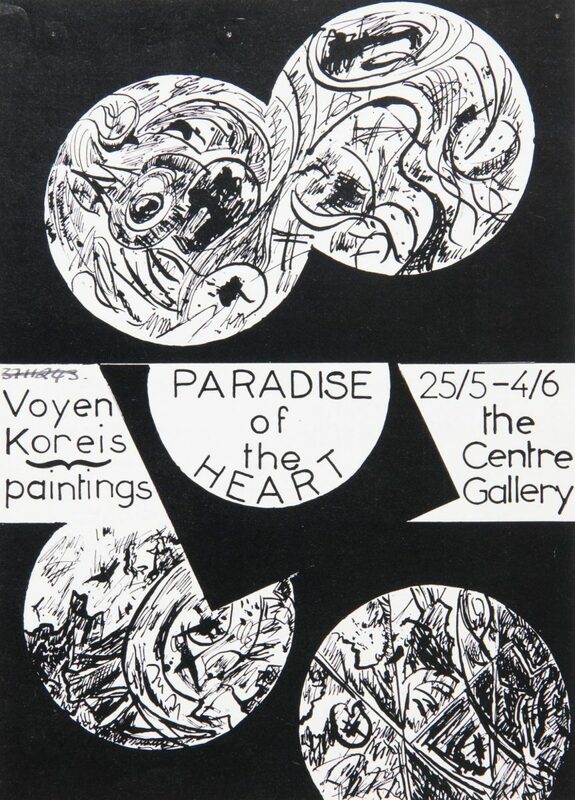 ‘Voyen Koreis, paintings: Paradise of the Heart’. The Centre Gallery, 1985. 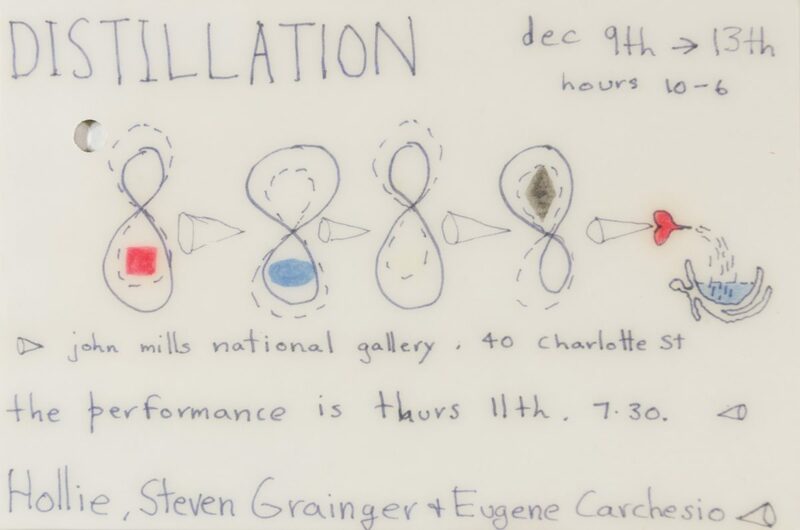 ‘Demolition Show’. 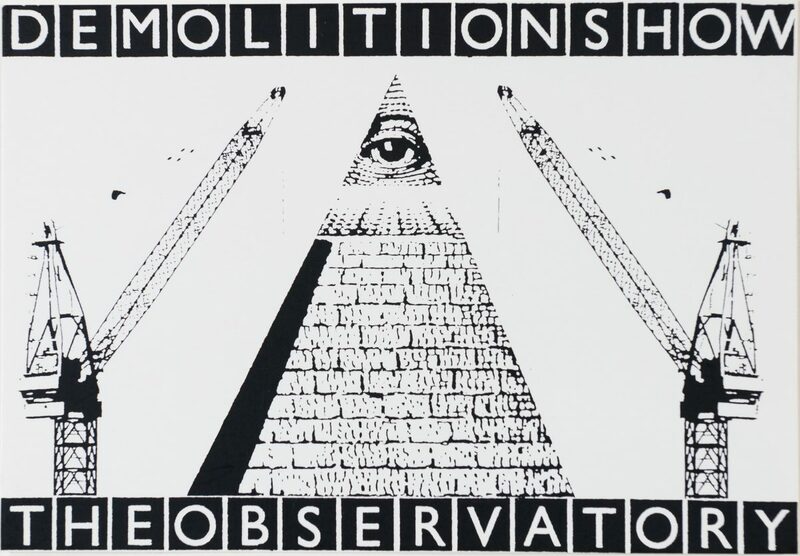 The Observatory, 1986. ‘Distillation’. Designed by Hollie, John Mills National, 1986. Inseparable – Acknowledging Robert Jacks….